These days, the old saying of “everyone and their grandmothers” is truer than many realize, especially when it comes to telemedicine. Most of our grandmothers have smartphones – and can text faster than their grandchildren. Some of the best Twitter accounts are run by today’s modern seniors (much to their grandchildren’s’ dismay). Mobile communication has limitless opportunities – including more than a few when it comes to healthcare. It’s a fantastic advantage for many senior citizens. That said, when it comes to seeing the doctor – a fairly common occurrence for many seniors – the idea of virtual visits gets a bit more problematic. Hopefully, it’s just a transitional hiccup and not indicative of long term resistance. No one argues the advantages of telemedicine; some of the most well-known and respected physicians and healthcare experts have touted these advantages for years. The chance to connect a provider and patient virtually from any location and at any time may seem unheard of, but the reality is, many seniors are incorporating these advances and are receiving faster care, more cost efficient solutions and the absence of traditional frustrations of waiting in a doctor’s office. 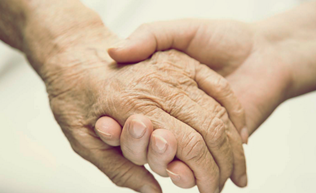 If we can get past the barriers, we’re well on our way of ensuring our elderly loved ones are safer and healthier. One of the important barriers surrounds medical licensure laws that tie providers to state boundaries rather than empowering them via the internet. State medical board requirements often significantly limit the ability of doctors to practice across state lines. Interstate licensing, however, is a solution – and one that’s been proven. Our military has shown just how successful these programs are. For instance, the Department of Defense has already expanded telemedicine opportunities to service members. It matters little where they are in the world; they have access to the doctor who treats them on a regular basis. Not only that, but the Department of Veterans Affairs has moved to mostly eliminate cost sharing in regards to telemedicine. It too acknowledges the benefits of treating veterans at home. The question is, can this seamlessly transition to Medicaid and Medicare recipients? Did you know that more than 10,000 baby boomers turn 65 every day? It’s a trend that will continue to grow for the next two decades. By 2050, 89 million Americans will be over the age of 65. Unfortunately, just Medicare alone will face a massive 38 trillion dollar shortfall. Technology could offset that amount. There’s no doubt telemedicine is the ideal partner. Our elderly loved ones’ needs will continue to grow and let’s face it, no one knows for sure what’s next with the health care laws in this country. For seniors with health conditions like diabetes, heart failure, or chronic obstructive pulmonary disease (COPD), receiving treatment can be complicated. In fact, these are the types of illnesses that make aging in place difficult, if not impossible, for many seniors. Imagine telemedicine in the home, though. The ability to log in and speak with a doctor – face to face – has potential for offsetting illnesses that become crises. Let’s take it a step further: the winters in Ohio can be brutal. Imagine scheduling your lunch time in a way that allows you to run to your mom’s home so that she can attend a doctor’s appointment. Instead of worrying about her getting out into the elements and risk slips and falls and other ailments or accidents, you show up 10 minutes before her doctor’s appointment. She’s waiting comfortably on her sofa, nice and toasty, and within a few minutes, her computer alerts you to a new video call. Suddenly, she’s at her doctor’s appointment – and she never had to leave the house. Many seniors have already seen the countless benefits. Soon, it will be as common as our mobile phones. To learn more about telemedicine, contact The Zimmer Law Firm today.